Herbert William Southcombe was born in Stoke sub Hamdon in 1859. He was the son of glove manufacturer Richard Southcombe and his first wife whose name is unknown but may have died in childbirth with Herbert. In the 1861 census Richard Southcombe was living in lower Street, Stoke sub Hamdon with his sister Ellen and two-year-old Herbert. Richard gave his occupation as 'linen & woollen draper & grocer & manufacturer of cloth and silk gloves, employing 20 men and three boys '. In the spring of 1863 Richard married Mary Jane Hebditch of Stoke sub Hamdon and in the 1871 census Richard and Mary were living in Lower Street, Stoke sub Hamdon with Herbert, now aged 12 and a scholar, his six siblings, a cook, a nurse and an under nurse. By 1881 Herbert had left home and was listed in the census at 24 Sherborne Road, Yeovil, with a housekeeper. Herbert was 22 years old and listed his occupation as glove manufacturer. In fact he had joined the company of Thring & Luffman, which then became Thring, Luffman, Southcombe & Co. The company was listed in Whitby's Yeovil Almanack Advertiser of 1882 as Glove Manufacturers of 64 Reckleford. The company was still listed in Whitby's edition of 1903. In the summer of 1882 Herbert married Mary Picken Phillpott in Kent, and on the death of his father in 1885, together with his brother, he inherited his father's glove manufacturing business at Stoke sub Hamdon. Together they created the company of Southcombe Brothers. In the 1891 census Herbert and Mary were listed as living at 15 The Park, with two domestic servants. 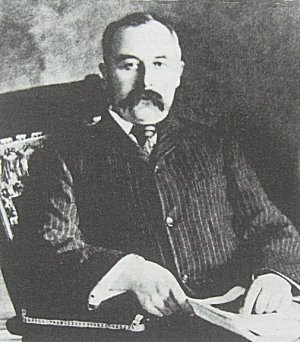 Herbert gave his occupation as leather glove manufacturer. In the early 1880s Herbert became interested in local politics and was elected to the town council. He served as mayor of Yeovil from 1889 to 1890. In 1894 he was appointed as a Borough Magistrate. By the time of the 1901 census Herbert and Mary had two daughters; Mary aged eight and Doris aged five. Also living with them was Mary's father, Jabez Phillpott, a retired shopkeeper. They also had a governess for the children, a domestic nurse, cook and a housemaid. By 1911 Herbert and Mary with their two daughters had moved to 16 Stanford Avenue, Preston, Brighton, and were living there with Mary's father and three servants. Herbert, by now aged 52, described his occupation as 'Leather Glove Manufacturer, Retired'. Herbert died in Surrey in the spring of 1944, aged 85. 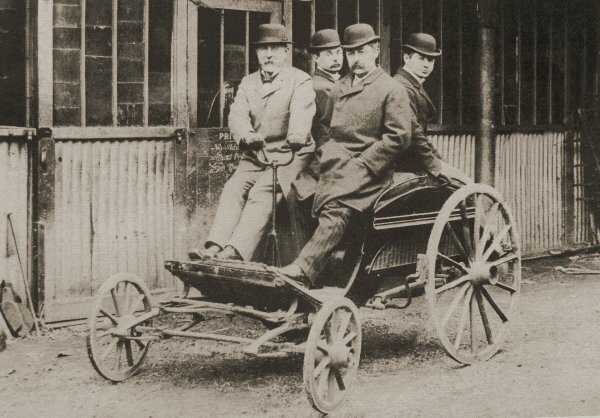 James Bazeley Petter (steering) sitting next to Herbert Southcombe, with James Petter's twin sons Percy (left) and Ernest (right) in the rear seat, on one of their automobiles in a photograph of about 1897.